In today's busy world it can be hard to find time to read and research all the travel tips out there. To make things easier (especially on a Friday) we've compiled the 5 best travel infographics for you. Whether you're looking for advice on how to pack your backpack most efficiently, or how far 100 Euros will get you in certain parts of the world, we've got the basics covered. Sit back and enjoy. Humidity in airplanes can be as low as 1%, lower than in any major desert in the world. Here's some great tips on how to stay comfortable on long, dry journeys. Click the graphic to see more details! Perfect suggestions on where to put your heaviest items, how to adjust all the different straps, and more, all from the outdoor masters at REI. Most airlines now let you choose your seats on the plane during the booking process. Keep these tips in mind next time. How to choose the best seat on an airplane. For those on a budget, here's a cool comparison of what 100 Euros will get you throughout the world. 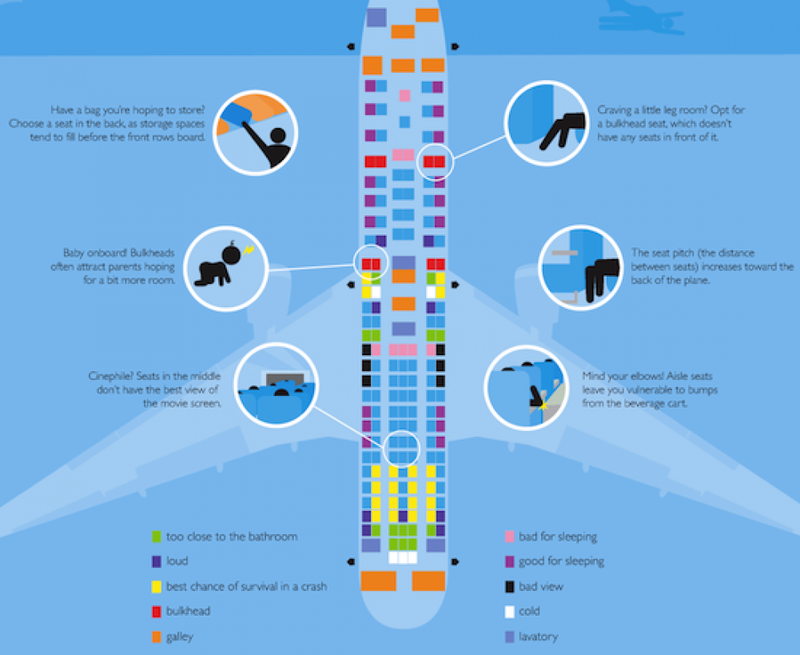 Travel infographics with budget travel tips on what 100 euros will get around the world. Scientific precision is the best method for packing any type of luggage. How to pack your luggage the right way. BONUS: Check out even more travel infographics that you need to read here!